Phillip Smith is the founder of the Journalism Entrepreneurship Training Company — an effort to provide hands-on coaching to early-stage news and information startups through a 10-week boot camp and weekend-long workshops. Prior to starting the company, Phillip was a John S. Knight Journalism Fellow at Stanford (2017-2018) and a Mozilla Senior Fellow for Media, Misinformation & Trust (2017). He is also the founder of the Uncharted Journalism Fund, a journalism philanthropy experiment that supports bold, adventurous storytelling in a shrinking media environment. 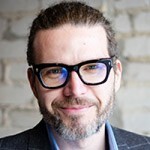 For more than two decades, Phillip has worked as a product developer for startup newsrooms and innovative publishers; his unrelenting passion is to make society a more informed, connected, and empowered place.